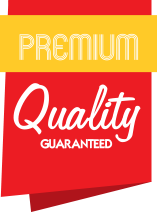 Call: 609-608-5750 - For a Free Estimate! Close up of colorful rock surface natural background pattern and texture. 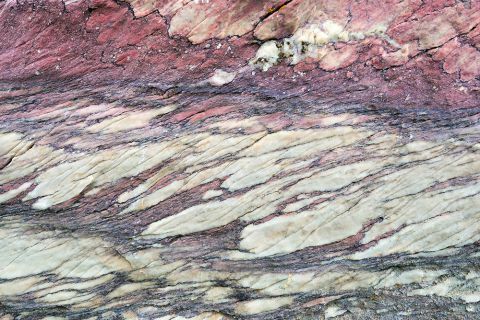 Metamorphic white quartzite folded and fractured together with red coarse sandstone due to the power of geologic crustal movement. Natural stone is one of the most commonly used materials in countertops. Natural stone or dimension stone slabs (e.g. granite) are shaped using cutting and finishing equipment in the shop of the fabricator. The edges are commonly put on by hand-held routers, grinders, or CNC equipment. If the stone has a highly variegated pattern, the stone may be laid out in final position in the shop for the customer's inspection, or the stone slabs may be selected by experienced inspectors. Emerging technology allows for virtual stone placement on a computer. Exact photographs can now be taken which allow for the integration of a dxf file to lay on top of a stone image. Multiple slabs of material may be used in this layout process. Then the countertop assembly is installed on the job site by professionals. Commonly, initial countertop fabrication takes place at or near the quarry of origin, with blocks being sawn to thickness and then machined into standard widths (600mm and upwards), before being surface polished and edged. This method removes the need to ship waste material, and reduces the time needed to prepare client orders. This practice is called "cut to size" A wide range of details may be pre-machined by the fabricator, allowing for installation of different sinks and cooker designs. A common drawback to natural stone is the need for sealing to prevent harboring of bacteria and/or fluids that may cause staining. In recent years oleophobic impregnators have been introduced as an alternative to surface sealers. With the advent of impregnators the frequency of sealing has been cut down to once every five to ten years on most materials. specializes in custom fabrication of granite, marble, quartz, travertine, limestone, onyx, quartzite, and semi-precious slab surfaces and countertops. We have been servicing residential, commercial customers.